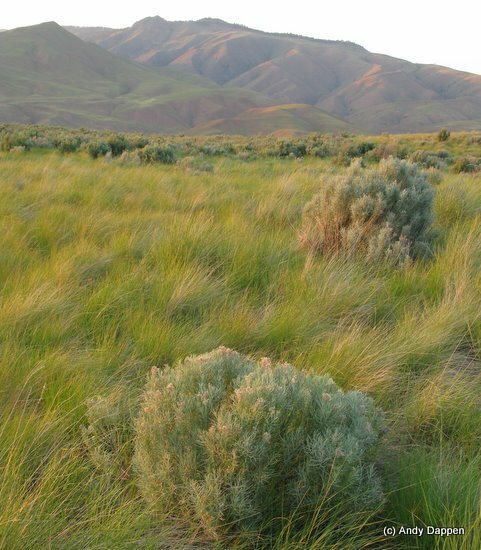 One of the prominent shrubs in the foothills of Central Washington in autumn is rabbitbrush. It is prominent because it blooms in late summer and fall when most every other plant in the shrub steppe has shrivelled and gone to seed. Rabbitbrush is far less conspicuous in summer and is frequently mistaken for sagebrush. 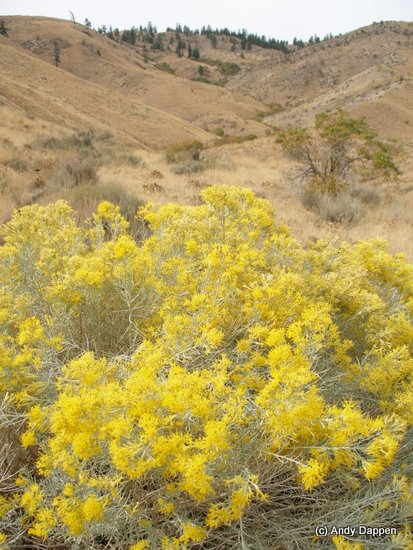 Rabbitbrush is a wallflower for much of the year as it blends in non-conspicuously with sagebrush. But in autumn, the plant struts its stuff and is hard to miss. It’s yellow bloom is a welcomed burst of color, and the bees and insects tending its blooms are focal points of activity. The plant’s name, however, is an odd one. Biologist report that rabbits rarely forage on the bush, so from whereforth cometh this name? 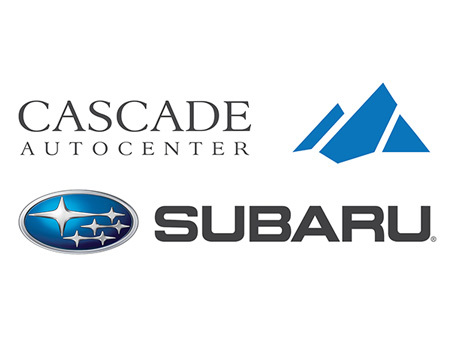 If you know more about the name, please educate the rest of us by commenting below. Additional information: From the Land Trust’s website and database about local plants. A closer look at the leaves and flower clusters. A closer look at the delicate blooms. Gray rabbitbrush is very common in the Sage Hills. It rivals sagebrush in its wide distribution, but has a more limited range, requiring somewhat moister conditions and sandier soils. It is a deciduous shrub, with long narrow leaves and a height of two to four feet. White or gray woolly hairs densely cover the stems and leaves, and its foliage resembles the gray-green color of sagebrush. Rabbitbrush becomes very conspicuous when it blooms in late summer in a showy display of bright-yellow clusters of flowers. The rabbitbrush fruits are capped with many bristles that help the seeds spread in the wind. It is easy to confuse rabbitbrush and sagebrush. Both are medium-sized shrubs with gray, woolly hairs covering the leaves. 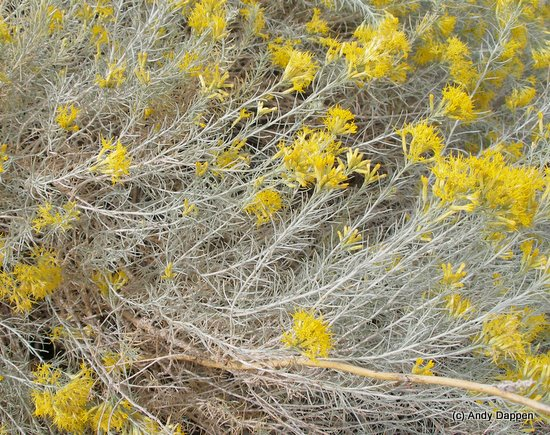 Rabbitbrush lacks the strong sage odor and has narrow (linear), non-lobed leaves. Rabbits do not prefer eating rabbitbrush, so perhaps the name refers to the animal’s use of rabbitbrush for cover. Deer, antelope, and other range animals feed sparingly on the leaves, flowers, and young twigs. 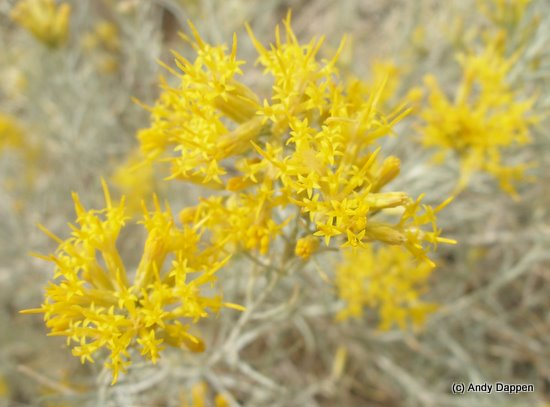 Native Americans used rabbitbrush as forage for animals, fuel, candy (chewing gum), dyes, arrows, brooms, and as medicine for toothaches, coughs, colds, sores, and diarrhea. 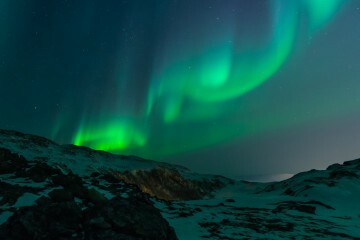 This post was originally published on 9/18/09.